Much has been made recently about David Ortiz and his wanting the Red Sox to extend his contract. Two writers at Red Sox Life, Conor Frederick and Ben Whitehead, debate not whether to extend him, but for how long. Conor takes the side of sticking with a one-year extension, providing Ortiz incentives and the Red Sox flexibility. Ben would love nothing more than to see Ortiz play in Boston until he's 45 (or older, if able). We like to call this our Red Sox Life Showdown. Most Red Sox fans love their Big Papi (yes, that includes me), and rightfully so. He's been great for the Sox since we signed him from the Minnesota Twins before the 2003 season. Since then, he's helped us break the dreaded "Curse" and win two more championships to boot. But here's why the Red Sox should stick to a 1-year deal (with incentives) - he's 38 years old. He missed a good chunk of the 2012 season and the first few weeks of last season with a strained right Achilles tendon. And he's not getting any younger here, folks. Maybe I'm being paranoid, but I'm worried about another major injury with his age. If the Red Sox give him a two-year deal, say, and he get's another major injury, then that's a good part of the deal lost. A one-year deal with incentives can help eliminate that possibility. If he hits those incentives (i.e. $1 million for playing X number of games, $2 million for hitting X number of home runs, etc), it would still amount to a decent amount of cash. "Well, I would like to see him retire as a Red Sox player." So do I, but do you really think he'll want to go elsewhere? 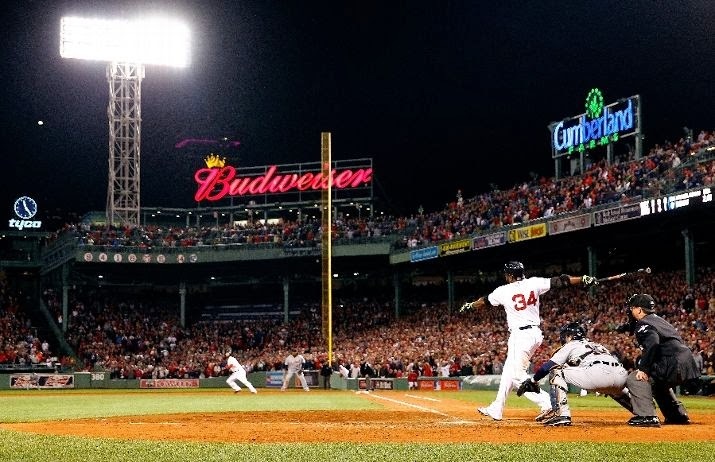 Who would take a chance on someone closing in on 40, even if it is David Ortiz? Unless there's a team desperate enough to sign him - again, not likely. I don't think we have to worry about seeing Papi in another uniform at this point in his career, so why not save some cash (which we can use on other guys, i.e Lester) and give him a one-year deal. David Ortiz is a living legend. Look no further than any of the three Red Sox World Championships if you need proof. Big Papi will forever have a place in Boston baseball lore. When you tell your grandkids about David Ortiz, I promise you will have the biggest smile on your face. You’ll remember what he did to the Yankees in 2004. You’ll remember how he helped Boston win a second title in ’07. You’ll remember that at age 37, he had the most ungodly World Series in ’13. But do you want to remember him finishing his career with another team? That’s where the question arises about whether or not to extend Ortiz’s contract. 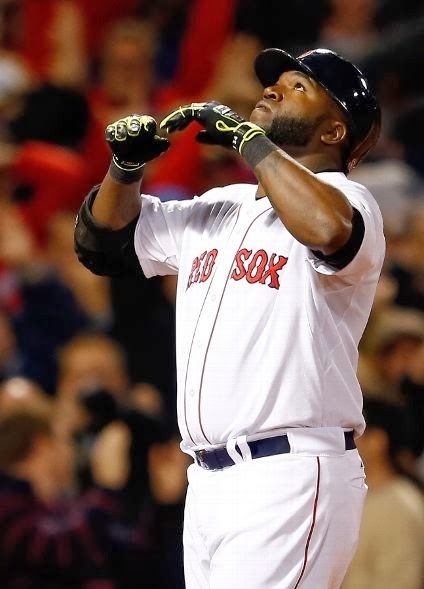 I think we’re all in agreement that we want to see Ortiz finish his career in Boston. However, this is a business. And money talks. If Ortiz doesn’t receive the contract he feels he deserves from the Red Sox, he’ll take his chances elsewhere – if the money were enough. And that’s where I ask you, as the fan of the Red Sox, to think about this: We’re all sick and tired of players like Jacoby Ellsbury leaving for the money and not showing any loyalty to the team that groomed them, raised them, and arguably turned them into the player they are today. Shouldn’t we have that same feeling toward the team we love not showing the love to a player that’s been nothing but positive for this club, this city and the fans? Come on, Red Sox. Give the big man what he wants. He’s 38 and will be 39 at his next contract. But he just had another .300/30/100 year at age 37. Let’s make sure his final game comes wearing a Red Sox uniform. I know Ortiz claims to only want one year added, right now, but let’s show him what we think of him and give him a future to finish in Boston. Now give us your take. Respond in the comments below or reply on Twitter (@RedSoxLife) and let us know how long of a contract extension you would give Ortiz.